I am beyond excited and thankful that Simply Divine has just celebrated our fourth anniversary. The past four years have exceeded all of my expectations. I am truly blessed to get to work with my friends every day. I love our team at Simply Divine. I hope to continue to grow and look forward to many more years. 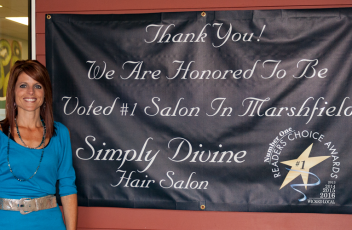 Thank you to all of our wonderful clients and to the great staff at Simply Divine!